Originally uploaded by Taffy Sprinkles. 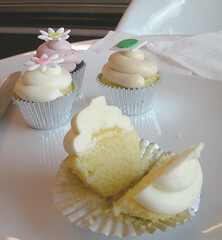 From Leda's Bakeshop, Sherman Oaks, California. Vanilla cupcake, with passionfruit frosting and filling.